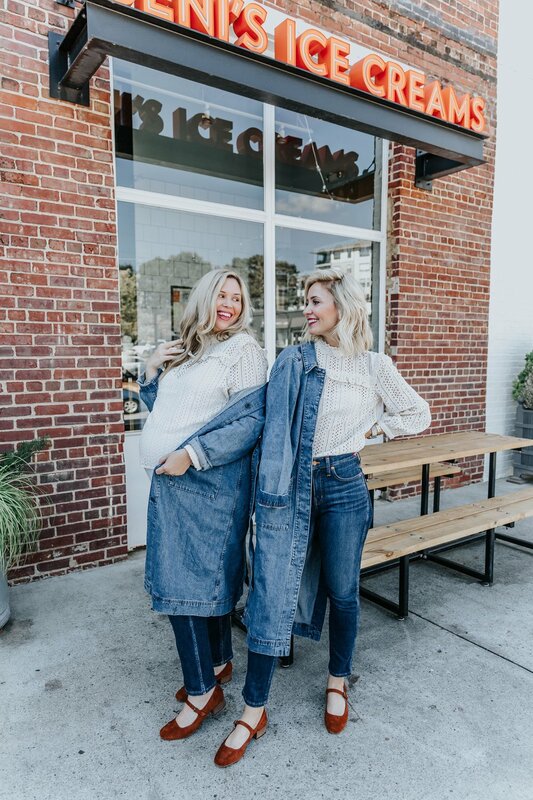 This denim “duster” is what they call it - from Madewell - is so cool. The oversized pockets are one of my favorite features. I am loving the cream eyelet top too. 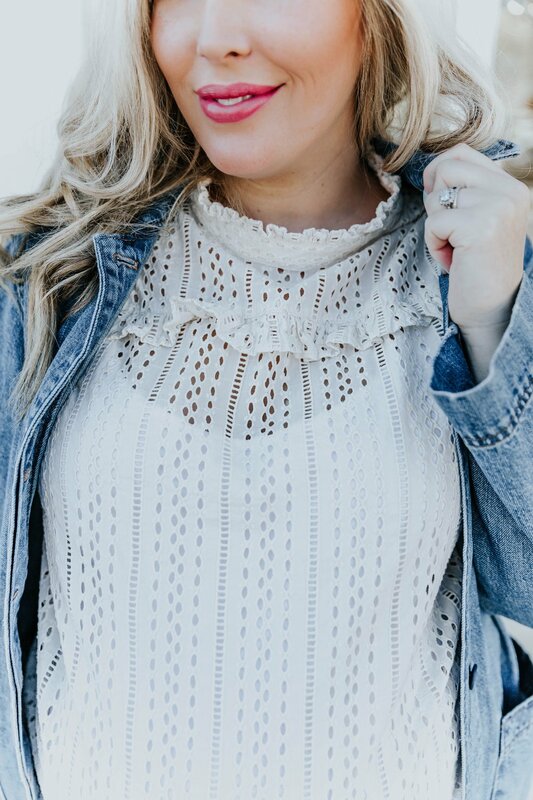 Eyelet tops will be big this Spring and I love how the detail adds a little something extra to a top that would otherwise be basic. They are sold out in cream but now have this amazing rust color in a similar style THAT I HAVE TO HAVE!!! On major sale right now. Grab it before it’s gone! Also comes in black and I’m obsessed. What a chic basic I’m looking forward to adding to my wardrobe. I’m wearing the 2X. These jeans are SO COMFORTABLE. 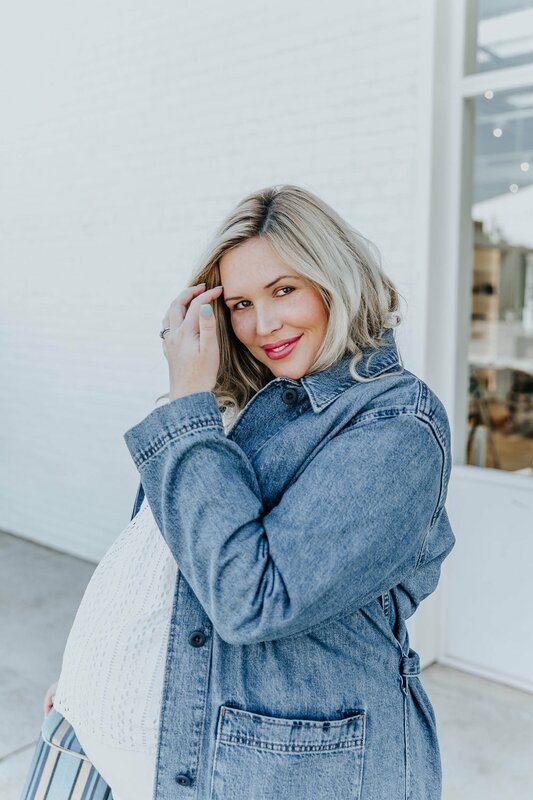 Obviously in these photos I was 9 months pregnant and definitely not buttoning them, but I can attest that now that I can button them… I AM OBSESSED. They are the size 34 and right now, at a size 18/20, I can squeeze into them. I would probably order a 35. They are also on MEGA SALE RIGHT NOW. The perfect time to try them! Linking everything for you below. Bag is a vintage case my mom gave me. xoxo! !